Anyway, unfortunately I don't have it anymore, but miss it ever since. Now I'm looking for a similar guitar with the looks of a Tele, and the back/smooth edges of a Strat. Preferably a budget guitar. I know the brand is ok (you get what you pay for), but since the store they sell it at is nowhere near my house and there's no way I could try it, I would like to know what my other options are. Who can suggest a cheap, light, smooth Tele model? Or, who owns the TE40 and can tell me if it's worth buying? Ah I see. No prob, I can imagine this happends a lot. Will be more clear in the future. You mean I'm making advertisement? Why is that? I honestly want these hangers but can't seem to find anything similar to it. And I'm not gonna order them from the US. Besides, it's a valid question to ask whether or not these things are any good. I found these great wall hangers online http://hangemhigh.net but I can't seem to find them in (online) stores other then the manufacturer store. I wonder...it there a reason for that? Because they look amazing and I can't believe no one sells them. An alternative to these are the ones from Boston: http://everestmusic.com/images/FC-566-E.jpg But I prefer the simplicity from the Hang em High's. Instead of buying a new amp (old one broke), I managed to use my old DJ hardware to connect my guitar to a Macbook and use Garageband's amps. It sounds great! Since I also still have a Novation Launchpad midi controller, it seemed like a pretty good idea to use that to control different effects or record guitar loops. The only problem is...I just can't seem to make the damn thing work in Garageband. It gives me sounds (piano, drums etc), but mapping it to effects/pedals seems impossible! I have been searching the internet for days now, but I cannot find anything about this. Is there someone here who could help me with this? Or maybe suggest a different software? Garageband with Launchpad and guitar? Congratulations on the new guitar!!! The neck might need an adjustment for you to get rid of the buzz, or the frets might need leveling. I wouldn't try either of these until you know what you're doing and have the right tools. I wouldn't trust most music stores for that either--you need to find a good luthier or guitar tech or get the right tools, study, and practice the adjustments on other guitars first. The people in the store told me the neck woudn't need adjustment because of our Dutch climate. This is only necessary in warmer and more humid places. Maybe this makes sense for a yearly check up, but not for a first...I think. Eitherway, I don't trust them with my guitar anymore. I am playing it for a week now, and it's really great. No more buzz, strings stay in place (most of the time), and it stays in tune just fine. I might go to another store in a few weeks for a full checkup/adjustment. For now it's fine. New guitar or fixing an old one? I finally got my Jaguar! Unfortunately the setup was terrible. According to the shop they did set it up and even played the guitar for a while. Which I think is BS. There was no way of tuning it, the buzz was terrible, there was a loose saddle and well...see for yourself. I'm no expert, but this doesn't seem like a good setup to me. Since the shop is quite far away and I don't have time to go back there, I tried to set it up myself. After 3 hours I managed to reduce the buzz, and make the saddles stable enough for the strings to stay in place. The action is still too high for me. But as soon as I lower the saddles, the buzz comes back again. So I might get a buzzstop for that. As soon as I manage to "perfect" the setup, I will post a better review and some photos. I might go for an oak coloured wood-dye. Keep it as natural as possible. So after reading all this and getting some advice from guitar builders, I've decided to buy a Squier MV Jaguar afterall. I tried the Mustang as well (and a few other types and brands) and altough I really liked it, I prefered the little extra buttons and tremolo on the Jaguar. And besides, the Jaguar was a bit cheaper. So yesterday I started sanding the old Strat, and the body seems to made of plywood. Does anyone here has experience with painting this material? Don't think it's going to be easy. 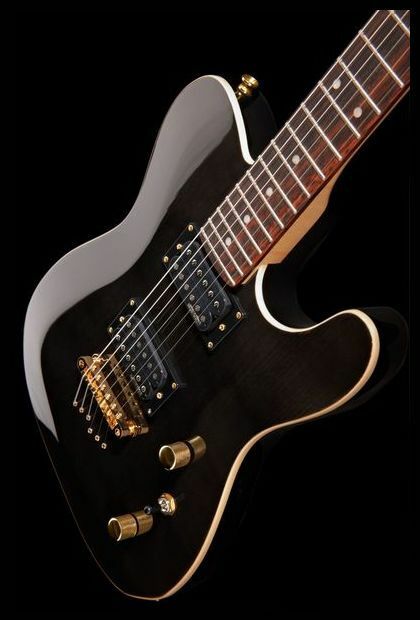 The idea of a new guitar is getting more and more appealing. The fact that I can not find any examples online, might suggest this is a bad idea. Great! There's on in my area (Amsterdam). Will give them a ring soon. @dannyalcatraz; I was hoping to just put Jag pick-ups on my Strat. This goes way beyond my technical knowledge. At least the neck and pick-ups seem to be match. Thanx. I'm in Europe, so I suppose finding a Reverend is gonna be challenging. Probably just as challenging as turning my Strat into a Jaguar. My old Strat was never really good to begin with. I was 14, bought it second hand, and had no clue what I was doing. I got the LP soon after that. I only kept the strat all these years because I liked the looks of it (white). So how it played? Well crap...but that probably had nothing to do with a Strat in general. The Tele played good, but I think I prefer the Jaguar sound. I just never actually played one. Which is kind of silly since it's on top of my list. Didn't know the Reverend Guitars yet. But damn they look nice!! Thank you for that. Will see if I can find them somewhere. This might sound really stupid (I apologize in advange), but what makes a Jaguar and Tele sound the way they do? Is it only the pick-ups? Or is it more than that? I mean, would it be possible to turn my old Strat into a semi-Jaguar with the right pick-ups and tremolo? I know it wouldn't be very time efficient and cost conscious. But it might be a fun thing to do. As a person who's terrible in making decisions, I have turned to this forum for help. For the past 4 months I have been looking for a new guitar. At the moment I own a Epiphone LP and a 20 year old Hyundai Strat. The Strat is completely useless right now. All the screws are rusted and it seems that the neck has been bend. 4. Stripping down my old Strat and rebuilding it. I would try to go for a short scale if possible. The music I play is indie, grunge, alternative, rock. Stuff like St Vincent, Nirvana, System of a Down, Jimi Hendrix etc. It's hard to do solo's on the LP. I didn't have that problem on the Tele. Which of my options would you recommend? Or maybe somone had an even better idea.